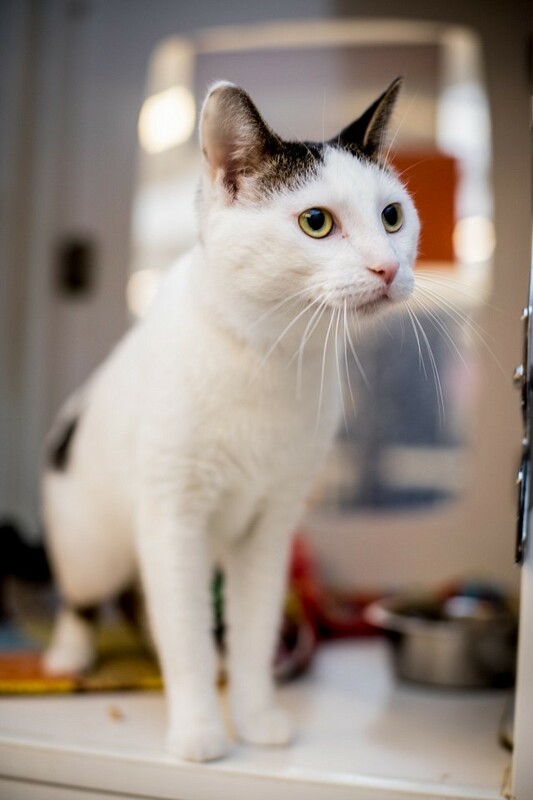 Olf is a friendly vocal fellow who loves being up high on top of things when he’s exploring. He has no interest in toys–his favourite thing is being next to you as you pet him. Actually being pet is his second favourite thing, right behind getting belly rubs. He will roll onto his side as you pet him looking for a belly rub or two or three…and you won’t be able to resist!